Parsons Law is a specialist Succession and Elder law practice located on the Gold Coast, Queensland. The Firm was founded in 2016 by Carla Parsons and in December 2018 the practice of Fredriksen Legal, founded by Frances Fredriksen, united with Parsons Law, to create a unique depth of expertise in Succession and Elder Law on the Gold Coast. The Parsons Law team have extensive experience in Will, Estate and Elder law matters and offer specialist advice, professional service and result focussed outcomes. In 2017 and 2018 Parsons Law was recognised in the Doyles Guide amongst the best firms in Queensland for expertise in the areas of Will, Estate & Succession Planning and in Estate litigation. 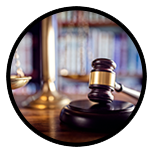 Find out more about our services and approach here and in our Law Talk short videos. We aim to help you – be it to protect and pass on family wealth and assets, maintain family relationships, assist in the administration and finalisation of the estate of a loved one and support the overall fulfilment of testamentary wishes. We also appreciate that ageing is challenging, not only for the individual but also for the individual’s family. At parsons Law, we provide advice and assistance to help navigate those challenges and protect and promote the rights of our elder clients. Each of our Carla Parsons and Frances Fredriksen have been appointed as Accredited Specialists in Succession Law in Queensland, a prestigious honour currently held by only 44 lawyers in Queensland. Carla and Frances have also both been named in the Doyles Guide of leading and recommended lawyers for their expertise in the areas of Will, Estate & Succession Planning and in Estate litigation. The Queensland Law Society’s Specialist Accreditation program is designed to formally recognise practitioners who hold a high level of competency, experience and knowledge in their area of expertise. It also acts as a guide post, for both the public and others within the legal profession, as to practitioners who are leaders in their area of law. 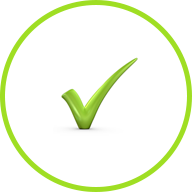 We will work with you and your trusted advisors to achieve a result focused outcome. 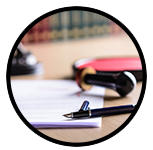 We believe in providing transparency in respect to legal costs and will aim to provide you with an up-front fixed fee for your legal matter, wherever possible. Knowledge is important – we will keep you fully informed and updated throughout the course of your matter. The Team at Parsons Law aim to provide you with specialist advice and guidance, in a manner that respects the individuality and the different needs of our clients. Accredited Specialist (Succession Law) (QLD) Carla Parsons is the founder and Legal Practitioner Director of Parsons Law Pty Ltd and is one of only 44 Accredited Specialist in Succession Law in Queensland. She has extensive experience in all areas of Estate Planning, deceased estate and trust administration and Estate Litigation. 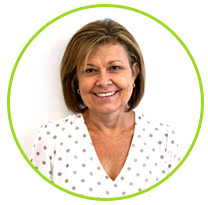 Accredited Specialist (Succession Law) (QLD) Frances Fredriksen is a highly regarded Succession and Elder Law practitioner and is also one of only 44 Accredited Specialist in Succession Law in Queensland. She has extensive experience in all areas of Estate Planning, Elder Law, deceased estate and trust administration and Estate Litigation. Associate Ambre is an experienced Lawyer, joining Parsons Law as an Associate in 2018. Ambre practices in Estate Planning, Estate Administration and Estate Litigation, with a particular interest in Estate Litigation. Lawyer Sarah holds experience in Estate Litigation, Estate Administration and Estate Planning matters across various jurisdictions. Sarah joins the Parsons Law team in 2019 in the position of Lawyer, practising predominantly in the area of Estate Planning. Lawyer Maree recently joined the Parsons Law team as a Law Graduate in 2018. Whilst building her skills as a new lawyer, Maree provides assistance to all members of the Parsons Law team. Lesley van der Veen and Liz Ryan are also key members of the Parsons Law Team. Liz has many years’ experience in Will and Estate matters and provides paralegal support across the team. 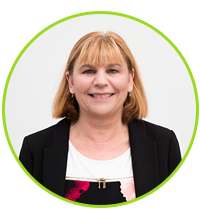 Lesley is the team’s Account manager and will also be here to warmly greet you in person or by phone and to help organise your next meeting with us. At Parsons Law, our team is here to support and collaborate with you. Our family was super impressed with the service provided by Parsons Law during what was a very difficult time for us. We found the firm knowledgeable, empathetic, efficient and proficient from first contact right through to the end of the matter. Thanks again for your assistance. Everyone I dealt with in your company has been so friendly, professional, and very efficient. It was a very pleasant experience. You were also very thorough and explained everything so well I had no difficulty understanding and normally the legal language is very hard to understand. Carla was the obvious choice as convenor for Wills and Estates Practice module in the Bond University Professional Legal Training Program. Her experience in the area, coupled with her qualifications as a QLS Accredited Specialist and her enthusiasm for the subject bring to the students’ experience the best possible learning experience. In this area of the law, she is very definitely an expert. - Assistant Professor & PLT Programs Director, Bond University. With an impromptu overseas holiday booked and 4 children being left at home, we quickly realised we should get a Will made up ‘just in case’. With only a few days till we departed, Carla was brilliant! She visited our home the following day and had all the right questions for us to answer. When we got stuck she also had lots of great suggestions. It was obvious to us that Carla had been doing this for a long time and was very professional at what she did. Our documents were prepared promptly and delivered straight back to us for signing at a time that was convenient to us. We were extremely impressed with Carla’s service and price and would highly recommend her! Carla made the whole process very easy. I have worked with Carla over a number of years. Her expertise in the area is undoubted. But Carla also has the ability to give practical advice taking into account not only the client’s individual circumstances, but the commerciality of the issues at play. As we offer tailored and outcome-focused solutions, at Parsons Law the first step will be to arrange a meeting with us. To prepare for the meeting we will provide you with a checklist of what documents and information may be relevant or helpful to bring along with you. As part of our personalised approach, we are also happy to meet with you at our office, your advisor’s office or if you prefer your home or business (on the Gold Coast or in Brisbane), whatever is most suitable and convenient. We also appreciate that your Estate Planning, Estate Administration or Estate Litigation meeting may be a sensitive and emotional experience for you. With a view to ensure you are comfortable and prepared for the meeting, we will also provide you with information and guidance publications and materials before our first meeting. 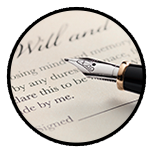 It is our aim to ‘partner’ with you in respect to your Will and Estate law needs. If you are a wealth management professional or fellow legal advisor, the professional, independent and specialist Will and Estate Law advice offered by Parsons Law may be of benefit and assistance to you and your clients. At Parsons Law we adopt a collaborative approach with colleagues and advisors, so as to achieve timely result-focused outcomes for clients. We have developed processes, procedures and templates to ensure a seamless and unified approach.